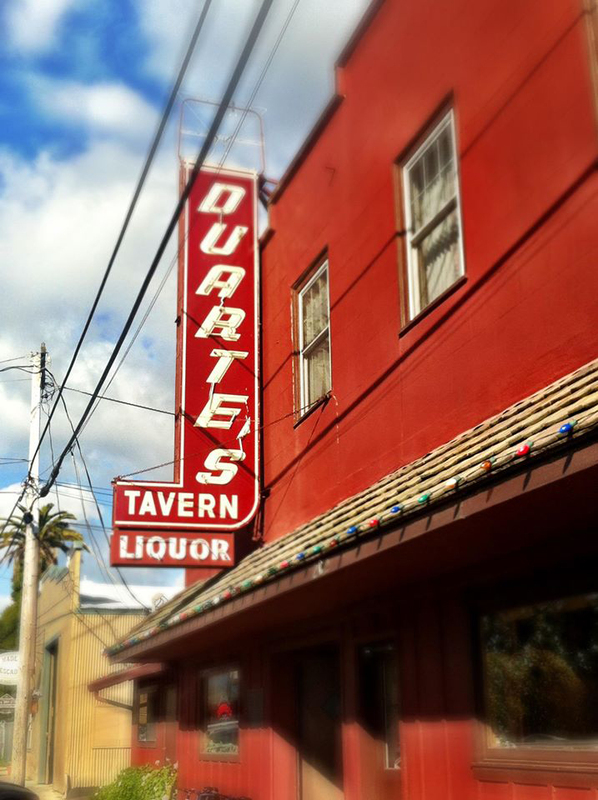 Duarte’s Tavern offers American country cooking, spiced by the Portugese roots of the Duarte family. 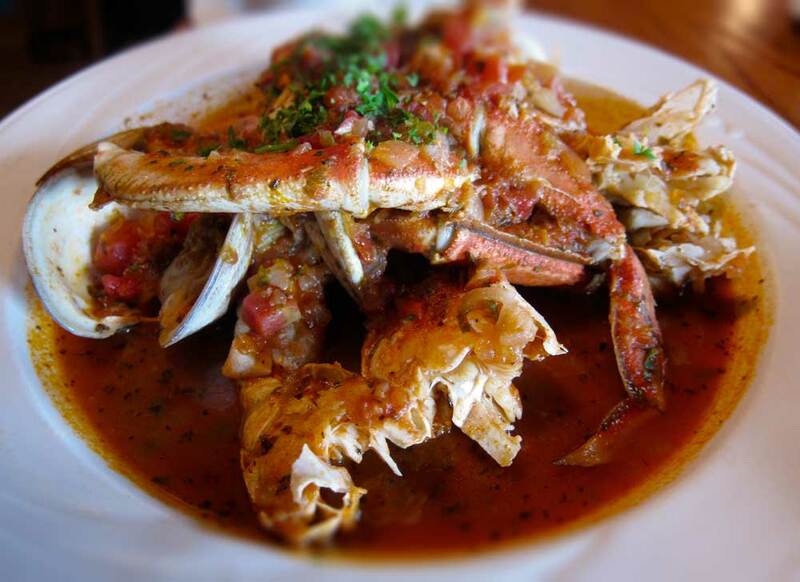 We cook local fish depending on the week’s catch and a tavern menu of simple dishes, nothing fancy. 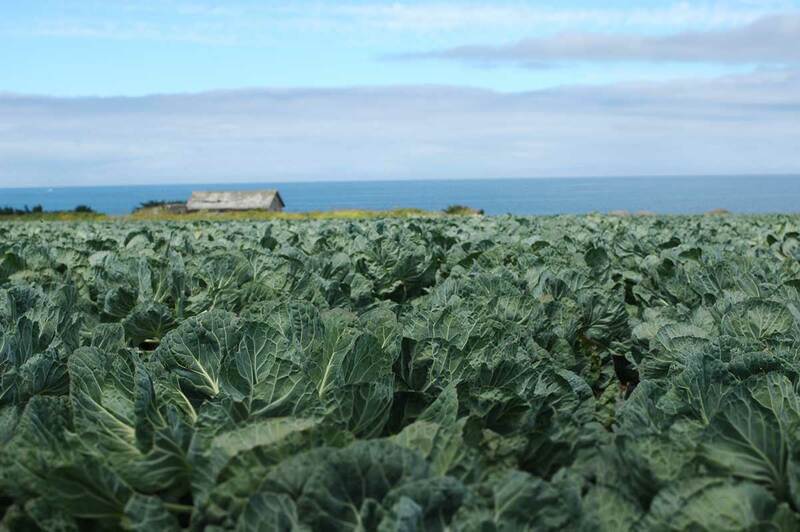 Almost all of our vegetables and fruits are from the restaurant garden or grown locally. We feature wines from the Santa Cruz mountains, and our fully stocked bar makes a mean Bloody Mary. This is a typical menu. Specials vary by season; call ahead to confirm availability. Due to an artichoke shortage, we can’t offer artichoke soup to go, but do stop by and enjoy a bowl in our restaurant any time. 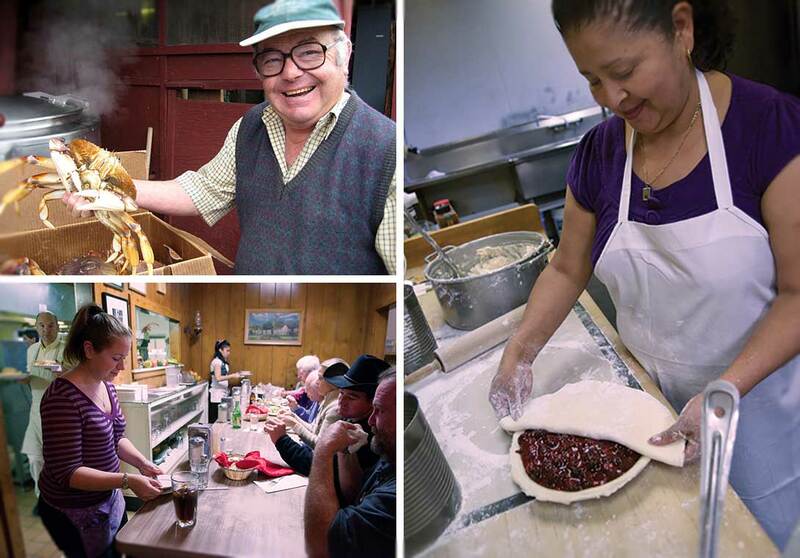 Duarte’s is a family and community business, run by the fourth generation of the Duarte family. We were a local destination in Pescadero’s heyday in the 1920s, we still brew the day’s first cup of coffee for local farmers. Generations of families have grown up working with us in the restaurant, tavern or garden. Most of our full-time staff have been with us many years and live within walking distance of the tavern. Frank Duarte established the business as a saloon and barbershop in 1894. The tavern soon offered food for locals and weekenders too. All the Duartes have loved food. 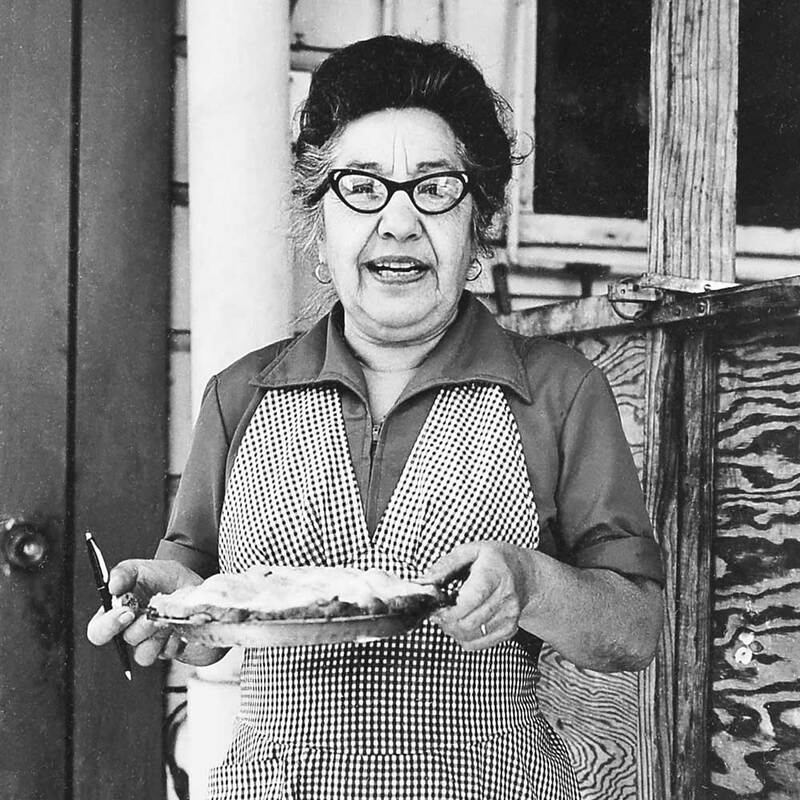 Emma Duarte began the tavern’s pie-making tradition in the 1930s. Frank’s grandson Ron Duarte and his wife Lynn first experimented with their famous Cream of Artichoke soup in the early 1960s. Ron’s handwritten book of recipes is in the kitchen today. Do not miss Frank Duarte’s original tavern bar, saved from the fire that destroyed most of Pescadero in the late 1920s. Though we no longer carry our own whiskey, we are one of the very few Californian restaurants to hold an off-sale license. Today, Duarte’s vegetable garden is just behind the restaurant. The three full-time gardeners grow Ron Duarte’s pick of artichokes, onions and leeks, many kinds of beans and peas, lettuce and squash, chard, fennel, herbs, olallieberries and strawberries. There are pole beans and rhubarb varieties that Frank Duarte brought from his homeland, the Azores. 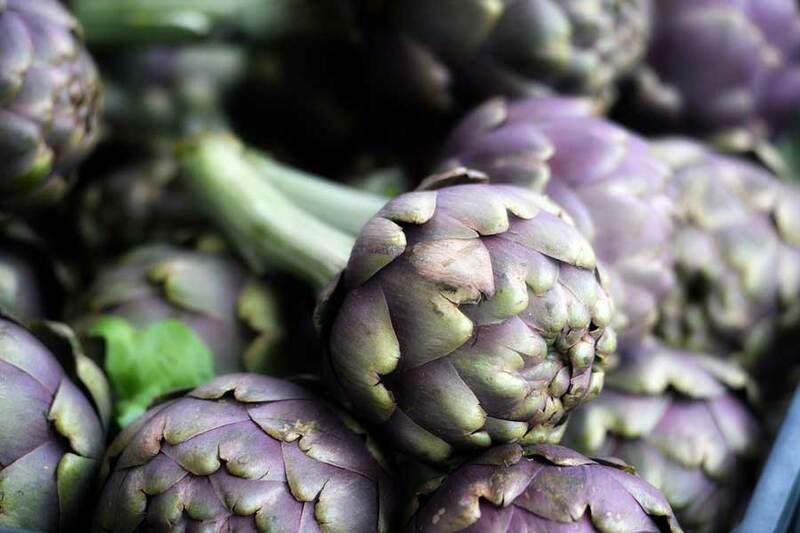 The restaurant’s artichoke soup is so popular that the garden simply feeds our own family with artichokes; hundreds arrive at least twice a week from two other local family growers. Duarte’s Tavern is in Pescadero, a coastal farming community, so quiet in the morning you can hear the waves crash on the beach two miles away. It is a valley of fava beans and brussel sprouts, pastures of cows and goats, egrets in the marsh and hawks in the creekside trees. It is as serene and lovely as it was a century ago. It is where friends meet. Copyright © 2018 Duarte’s Tavern. All rights reserved. Cioppino photo courtesy Jennifer Morrow, DoNotLick on Flickr.com.